Influencer marketing is the fastest growing customer acquisition channel according to a poll by Tomoson. What are the results driving this interest. Here are 10 influencer marketing case studies that get to the real results. ABSOLUT: Wants to create awareness and engagement in 8 key countries. They use Brand Ambassadors to create posts for #AbsolutNights. Each post begins the phrase “You know those #AbsolutNights when…” and then a sentence with a beautiful image explaining the content. 225+ posts are created in 8 countries over 17 weeks. They generate a reach of 2,800,000, 65,000 interactions for an engagement rate of 2.34%. ADDIDAS: Wants to push content to their German sportswear market during Summer Olympic Games in Rio in the first ‘Influencer Games’. For the campaign, Adidas sent 20 popular influencers to Rio. The team includes fashion bloggers and celebrity models – such as Germany’s Next Top Model winner and top Instagrammer, Lena Gerke. In Rio, the influencers producd social media content promoting the Olympics. Over 54 million Germans go on the watch the Olympics. BEAUTYCON (L’OREAL): Has become an iconic convention and event where the most daring and bold individuals. L’Oreal sponsors 9 macro influencers, each a heavy-hitter in the digital beauty community. One of the top performers in L’Oreal’s campaign is Chantel Jefferies. Known by her 3 million fans for her sun-kissed aesthetic and fashionable outfits, Chantel’s single post found over 225,000 likes, 1,100 comments, and an engagement rate of 15% among these influencer marketing case studies. BIGELOW TEA: Wants to promote their products, and encourage healthy living. Influencers incorporate Bigelow tea into their content in different ways. Some create original recipes using it, and others turn the packaging into DIY art. Blogger Ashley Thurman, of Cherished Bliss, provides her readers with a recipe to make iced tea with Bigelow tea and lemonade ice cubes. Jess, of A Million Moments provides her readers with a guide to creating beautiful flower pots from the tea packaging. The bloggers manage to generate more than 32,000 blog page engagements for their sponsored posts. Total media value for Bigelow Tea increases more than threefold, and the brand experiences an 18.5% increase in sales. BONOBOS: A men’s clothing line, wants to promote their Summer 2016 Collection through social media, and digital marketing campaigns. They launch, among these influencer marketing case studies, the #BetterThanAC campaign to promote the idea that the new Bonobos collection is designed to keep men cool. To leverage this campaign, they work with Foster Huntington, an influential videographer and photographer. The influencer creates several posts showcasing Bonobos clothing in the midst of outdoor summer moments. The campaign yields 5.1 million impressions, and more than 68,200 engagements in the form of likes, shares, and comments. IKEA: Launches their first influencer campaign for IKEA Germany with YouTubers. The brand hopes that stars’ fans would respond positively to the social content. Celebrity YouTubers from Germany – including Klein aber Hannah and beauty guru Sara Desideria – set an interior design challenge by IKEA. Their task is to transform a blank canvas into a stylishly decorated living space – all within their 180 minute time limit. The vlogs capturing these challenges were uploaded to YouTube, where they quickly gain over 300,000 views and received thousands of audience engagements. HULU: Wants to promote their new show, “Casual,” and reach their existing audience, as well as the audience of Thrillist, a men’s digital lifestyle brand among these influencer marketing case studies. They need someone influential to get the word out. So they decide to work with TV personality Andi Dorfman, who previously starred in, “The Bachelorette.” She is invited to the show’s event premiere. She then entices her social media fans with images from the event, through which she shared her experience. Her posts include hashtags like #keepitcasual and #casualonhulu to promote the new show. These images and other images from the event are then added to a landing page on Thrillist. Through just one influencer, Hulu is able to reach more than 1.3 million people. The influencer’s content generates high levels of engagement, with over 13,000 likes, 81 comments, and 96 shares. Andi’s appearance at the event helps build hype for the new TV show, enabling Hulu to achieve their goal. LEESA.COM: The direct-to-consumer mattress company, Leesa, wantes to win the trust of their target audience through unbiased reviews. Since they only sell online, online reviews sre the best way for the company to prove that their products are worth the investment. They work with influencers who could generate high levels of engagement. To find the right influencers for their campaign, the brand focuses on follower engagement rates rather than number of followers. Blogs like Sleepopolis review the mattresses from Leesa, and provide their readers with their unbiased reviews, The bloggers also provide their readers with a coupon code to help them save money on their purchase. Leesa was able to drive more than 400 mattress sales, and 100,000 clicks to the brand’s website. NORDSTROM: To promote its Anniversary Sale, Nordstrom partners with 22 Instagram influencers to create 46 sponsored posts on Instagram. The vast majority of the influencers involve were millennial females with fashion-focused feeds. They range from up-and-coming fashion Instagrammers with around 100,000 followers to some of the most well-known fashion influencers in the industry. The Instagram influencer campaign has generated 1.1M likes and 10K comments, with a total engagement rate of 6.3%. PEDIGREE: Wants to humanize their brand by standing up for a cause. The brand runs, “Buy a Bag, Give a Bowl,” campaign to support a national effort, and amplifies it with the help of influencers. The influencers promote the campaign through their social media content, blog posts, and video content. Influencers like Kristyn Cole help promote the campaign on Instagram by sharing touching stories about their pets to appeal to their followers’ emotions. The campaign helps Pedigree increase their total media value 1.3 times, and generates more than 43 million impressions, and 62,800+ content views. The campaign drives 9,300 blog page engagements, and helped Pedigree win the love of their target audience. Are you convinced from the results of these influencer marketing case studies? 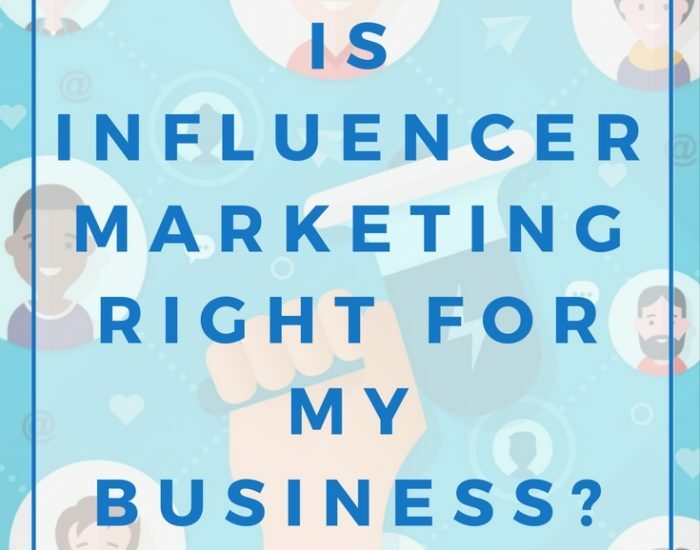 Does your company need help with influencer marketing?